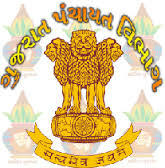 GPSSB Extension Officer (Agricultural) Provisional Merit List & Final Answer Key 2017 : Gujarat Panchayat Seva Selection Board (GPSSB) has published Extension Officer (Agricultural) Final Answer Key & Provisional Merit List. The exam was held on 04-02-2017. Now GPSSB has Final Answer Key & Provisional Merit List Available Online. you can View / Download Answer Key & Merit List from below mentioned link.